This slogan is lived out to the fullest and goes far beyond the product itself. Our motto is: the whole family is our main concern regardless its size. The customer relationship does not stop when you buy a Dethleffs. This is just the beginning. And since the production of the very first caravan we have always focused on the business location Germany: due to quality reasons but also due to a sense of social responsibility. We have even managed to retreive a considerable amount of toll-manufacturing from abroad and thus have safeguarded jobs in the region. At the same time we export all over the world. 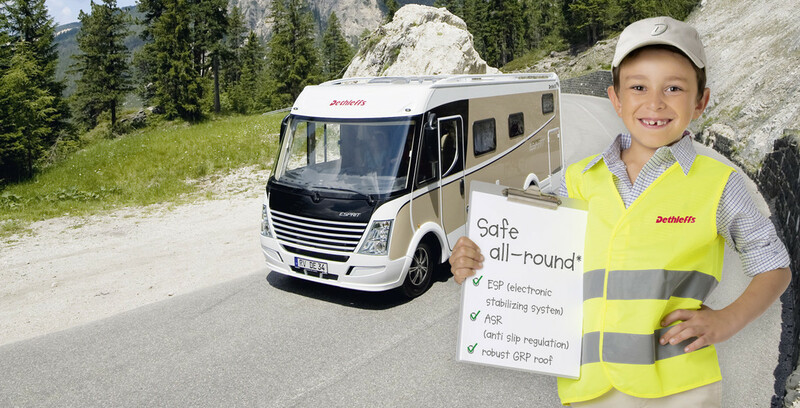 By buying a Dethleffs vehicle you are supporting a global acting company, which is creating employment in Germany.